1/ Select your Panel Size then download and complete our PDF enquiry form by following the link at the bottom of this page. 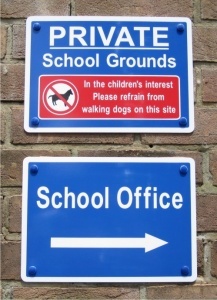 Available in a range of 65 standard designs or design your own for No Extra Charge our range of wall mounted aluminium composite General School Notice Signs are available in A5, A4, A3 and A2 sizes. They are manufactured from high quality 3mm aluminium composite (ACM) sheets which using the latest technology can be CNC profile cut to almost any shape or size. 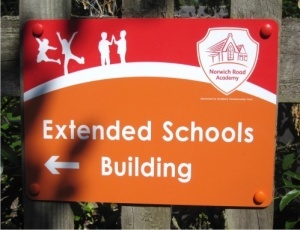 Our wall mounted General School Notice Signs can be vinyl laminated to one of a choice of 18 standard background colours or full colour printed graphics applied. The signs are 100% waterproof and are suitable for either internal or external use where they can be fitted to any flat surface such as walls, fences, wooden gates etc. As standard the signs are supplied with radius corners and pre-drilled fixing holes and a wall fixing kit. Why Use Aluminium Composite for your New School Signs ? 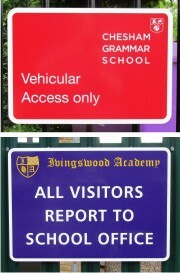 Our range of General School Notice Signs includes school parking signs, CCTV signs, disclaimer signs, security signs, no trespassing signs, directional signs, information signs, toilet signs, classroom signs and if you cannot find what you are looking for then we will design a sign to suit your particular needs. 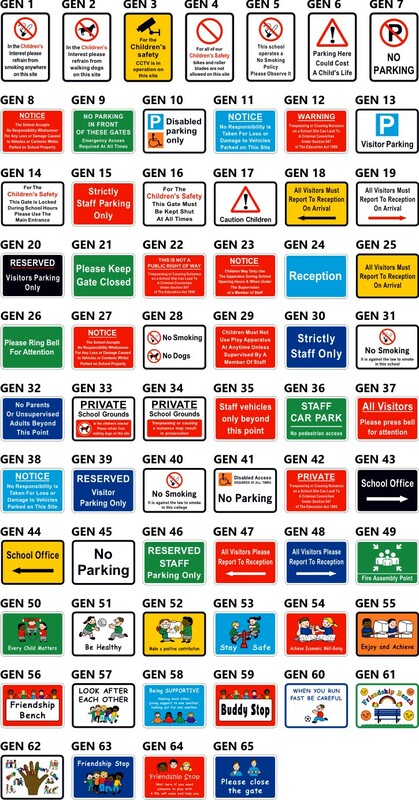 We offer a range of 65 Wall Mounted General School Notice Signs in A5, A4, A3 AND A2 sizes. 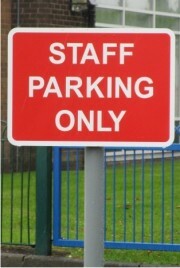 You can change the colours, the wording or even design your own school notice sign for No Extra Charge. 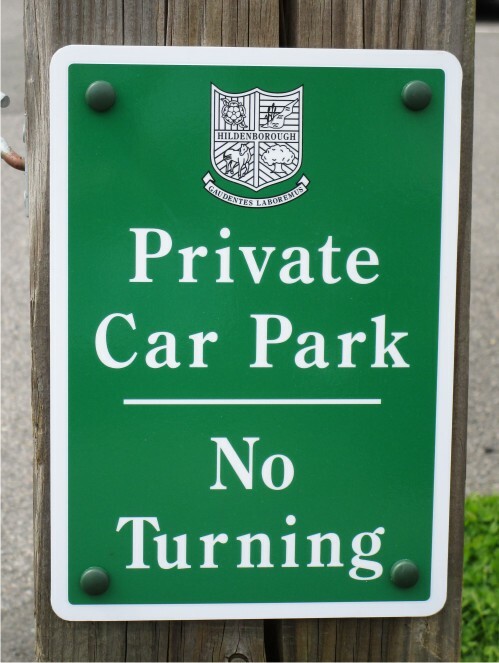 Manufactured from 3mm aluminium composite sheet these signs are totally waterproof and suitable for either internal or external long term use. 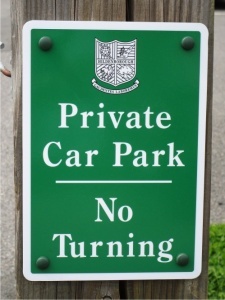 As standard each sign comes with pre-drilled fixing holes, radius corners and a wall fixing kit. 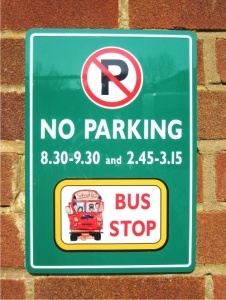 We have a wide variety of General School Notice Signs including, Please Close the Gate, Friendship Stop, No Parking, No Dogs, No Smoking, Disabled Parking, Private, Reception Signs, Fire Assembly Point, Please Close Gate, Parking Signs, Keep Out, Cycle Signs, Toilet Signs, Playground Signs etc. 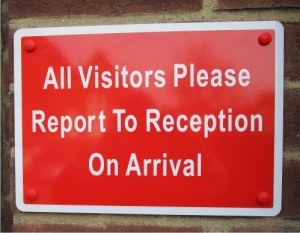 Any of our signs can be adapted to suit your exact requirements whether it be a door sign or wall mounted external sign. 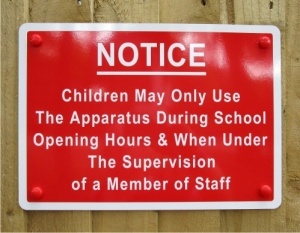 We can supply our General School Notice Signs to be fitted to wooden gates or existing metal gates, fences or railings. We can manufacture every sign in a different language (from copy supplied) we can even supply your new sign in Welsh. Tell us what you want and we will do our very best to help you.